Surface Engineering is a multi-disciplinary activity aimed at protecting or modifying the surfaces of industrial materials to improve their function or service life. Engineering components usually fail when their surfaces cannot withstand the environment elements or external forces to which they are subjected. The choice of surface material with adequate resistance to wear, corrosion and degradation is critical to their functionality. Used to drive the cold cutting process where metal surfaces can be cut accurately without causing sparks. Hydro demolition of many substrates including chemicals that have fused or hardened. A combination of high pressure water and abrasive materials eliminates dust and provides a clean surface free from harmful salts that have accumulated. A range of corrosion or abrasion resistance coating solutions is specified and applied to the appropriate surface. Coatings application includes coating inspections during the application phase and when performing failure analysis. No dust, no chemicals, no heat, slurry blasting is the most efficient and environmentally friendly low volume wet abrasive blasting available for dust-free cleaning of steel, concrete, fibreglass or wood. The process involves the addition of a water stream to the abrasive flow to eliminate dust creation. Slurry blasting results in thoroughly cleaned surfaces free of harmful metallic or chloride contamination. Our abrasive blasting process uses advanced and innovative robotic blasting equipment that meet your surface preparation expectations. The use of horizontal and vertical blasting machines manage and contain the debris to avoid any interference with the immediate environment. We are also particular about leveraging eco-friendly and ergonomically-designed equipment that ensure safe operations while executing the job flawlessly. Cold cutting is the process of cutting metallic, cementitious or a combination of the two materials through the use of high pressure water. GOS wet abrasive cutting or cold cutting uses an abrasive material in the water stream to cut through materials with a high degree of accuracy. It has numerous advantages over other mechanical methods and solves a variety of commonly encountered offshore tank and pipe cutting issues. GOS’s cold cutting system offers a much safer, more cost-effective alternative to conventional torch cutting because It produces no heat and no distortion to the base material being treated. As no heat or flame is generated, the system can be safely used in potentially explosive environments. Our system cuts through metal of up to 5-inch (12.7 cm) and is fully portable and can be easily set up by a two-man team. The four function control panel allows us to accurately control the speed of the cut, remotely control the abrasive media flow and operate it from a safe distance of the cutting area. The result is a cleanly-finished face with smooth edges. Flexibility is always a key requirement for offshore applications and GOS’s cold cutting systems can be adjusted on request to suit different applications. Our machines are water-driven, which makes them suitable for use in hazardous environments. As such, our system is highly versatile for many on- and offshore cold cutting operations. A variety of track mounting options offered also ensure that the system is tailored to handle different projects and requirements. The system includes a dolly-mounted abrasive hopper with an air-operated metering assembly control console, mounted on a portable stand, parallel and perpendicular nozzle mounting brackets, a carbide slurry nozzle, a universal power head that works with both the pipe line cutter and the straight flexible track. A radius cutter is also available, which can be mounted to the flex track systems, and adjusted to cut from 5” – 9” (12.7 cm – 22.86 cm) radius in either flat or curved surfaces. This is ideal for cutting doors and other passages into sheet metal. This video shows our cold cutting system in action, cutting through multiple materials and layers in a single pass. Hydro jetting, along with advanced surface coatings, represents the leading edge in surface engineering technology. Water jetters or water blasters are essentially powerful washers that use extreme pressure from 7,000 PSI to 60,000 PSI (500 to 4000 bar) to clean and remove debris from tanks and lines. They are commonly used in the construction, marine and manufacturing industries. We also provide hydro demolition (also known as hydro blasting, hydromilling, waterblasting, and waterjetting), a concrete removal technique which utilizes high-pressure waterjets to remove deteriorated and sound concrete as well as asphalt and grout. This process provides an excellent bonding surface for repair material and new coating applications. Hydro demolition can remove delaminated and chloride contaminated concrete whilst avoiding the unnecessary removal of sound concrete. The original concrete surface and any exposed reinforcing surfaces are cleaned and ready for new latex modified concrete overlay. Our hydro jetting services are executed by qualified pump operators and hydro blasters across a range of cleaning, surface preparation, spot repair, descaling and selective paint stripping applications. Discuss your needs to understand how we can assist you. Today, there are a number of advanced coating systems and solutions that prevent corrosion and preserve the lifespan of marine equipment. Ceramic insulation coating, for instance, uses multiple layers of ceramic micro beads to block infrared-based heat. Post our merger with Maritime Corrosion Science Pte Ltd, we have strengthened our expertise in various specialized coatings for different environments and numerous surfaces. Our professional team can provide the perfect advanced coating solutions to tackle challenges where standard coatings may traditionally let you down. Discuss options in thermal insulation coatings with us, and take the insulation performance of your structures to the next level. Ships can continue delivering reliable and sustained performance throughout their service lives if the current state of equipment or structure are understood properly, and inspections and maintenance are implemented regularly and professionally. Periodic surveys can help in maintaining ships in an acceptable condition, in compliance with corporate policies and international conventions. One of the key areas for consideration in any ship survey is investigating the corrosion of structures. Corrosive deterioration is the main cause for vessels, equipment, piping and valve breakdown and failure, which reduces efficiency and increases costs significantly. Additionally, failures due to corrosion are a health hazard to personnel and potentially harmful for the environment. We offer corrosion risk assessments for vessels, refineries, piping and valves. Our engineers combine design and construction experience with material science to deduce the root cause of durability problems and help you develop practical corrosion repair and renovation solutions to extend the life of your structures. Maintenance systems evaluations that help ensure that your maintenance crews follow the described maintenance procedures as reported in your system. The results of a condition and corrosion assessment can be identified using a rating system and reported in detail. We are happy to advise you on how to combat corrosion and contribute to your maintenance program. Call us to discuss your requirements. Ship builders and owners will be familiar with the predicament of ‘how much of the budget should we allocate to rust prevention?’ The answer is Stelpant PU-Zinc, one of the most effective paint solutions helping ship owners deal with the reality of rust and corrosion on steel surfaces. It is a one component moisture-cured zinc-dust paint on polyurethane basis. The product has a low solvent content, offers an excellent long-term protection against corrosion, is surface tolerant and can be applied at high film thicknesses. 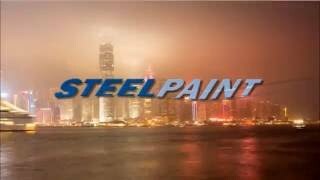 GOS is the official distributor as well as recognized applicator of Steelpaint GmbH, currently with stock now in Singapore, Shanghai, Russia and Europe. Stelpant PU-Zinc can be applied during unfavourable weather conditions, at temperatures ranging from -5°C – 50°C and a relative humidity level as high as 98%. With a 93% zinc content Stelpant PU-Zinc provides the ultimate protection against corrosion. For more than two decades, Stelpant has decisively enhanced the life and durability of heavy-industry facilities, particularly in maritime service. Thanks to one-component polyurethane resins, the special high-tech Stelpant coatings have raised the technological bar in corrosion resistance, offering impressive benefits over conventional epoxy coatings. SP-MCPU – all-round protection. Year after year, millions are lost as facilities succumb to corrosion. Long-term protection of valuable investments calls for long-term protection of facility surfaces. Indutries include Offshore, Shipbuilding, Mining, Construction, Civil Engineering. Made in Germany, used worldwide. GOS are the Singapore and SE Asia Agent. An investment in effective and environmentally-friendly blasting equipment can make light work of cleaning the surfaces and walls of ships, offshore rigs and oil storage tanks. GOS offers small mobile portable modern slurry blast machines, designed for mobility and ease of use on vessels or platforms. GOS custom configures the sets to suit the requirements. A vast range od anchor profiles makes the machines versatile for literally all types of coating applications and ships maintenance.